USAREC Commanding General Maj. Gen. Allen Batschelet and Command Sgt. Maj. Willie Clemmons take questions from the audience during the State of Command address at the ALTC Feb. 10. Photo by Fonda Bock, USAREC Public Affairs. 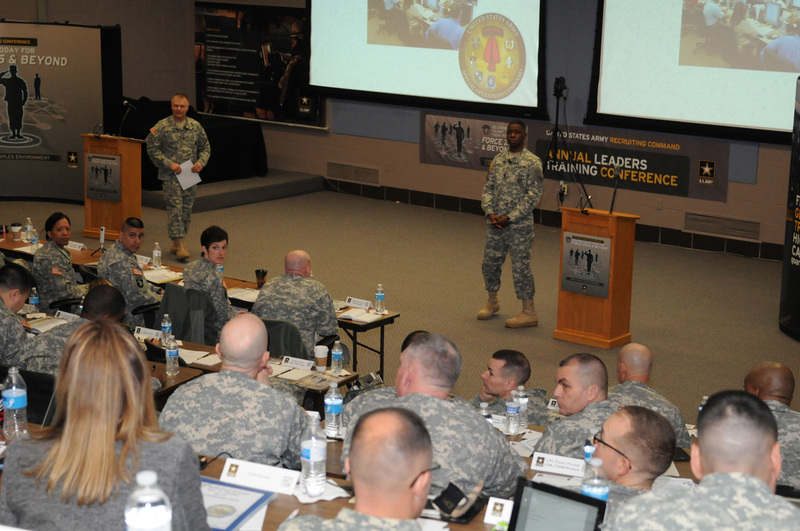 The theme for this year’s Annual Leaders Training Conference, “Securing Talent for Force 2025 & Beyond – Leading to Win in a Complex Environment,” was chosen as part of the Army’s overall strategy to identify, recruit, develop, and retain talent. During his State of the Command address Feb. 10, Maj. Gen. Allen Batschelet, USAREC commanding general, gave an overview on accomplishing command priorities, addressing areas of success, and those that need work. Batschelet said that has a formation “We’ve been more effective this year in doing more interviews and telling our Army stories, but that there are still issues,” Batschelet said. Getting harder for the Army to compete with the market in an improving economy. The proposition of selling the Army Values is eroding. Have to take a harder look at how to make the Army more competitive and selling the value of being a veteran. Getting 251 more recruiters, but not having more recruiters saying the same thing is going to make much difference. In the fiscal year 2016 DEP pool could shrink to 5000. Incidents of sexual assault and harassment are pretty minor within our ranks, but there’s still a concern with the continued incidents of inappropriate relationships and misconduct between some recruiters and prospects and Future Soldiers. The T.R.U.S.T. Campaign is a leadership driven, command-wide initiative to develop a culture of intolerance toward prohibited, inappropriate relationships with, specifically, Future Soldiers and any misconduct to include, sexual assault, domestic violence and child endangerment. The campaign encourages USAREC Soldiers and civilians to intervene in critical situations before they occur. Training will begin in March. Army Reserve update by Lt. Gen. Jeffrey Talley, U.S. Army Reserve Command Commanding General. Senior spouses also met during a number of seminars to discuss the challenges facing families, receive updates on numerous family support topics, and provide the command advice on how to improve support for USAREC families. 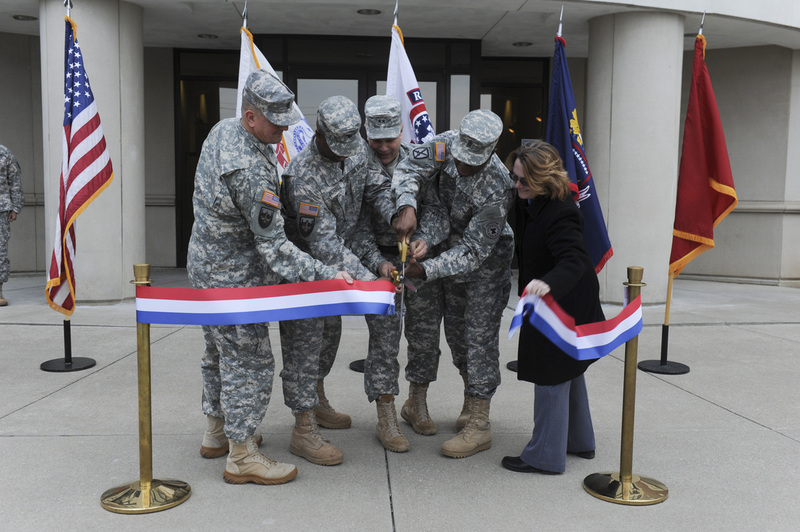 The Recruiting and Retention School celebrated the completion of its move to Fort Knox from Fort Jackson, South Carolina, with a ribbon-cutting ceremony Feb. 11. From left to right: Recruiting and Retention School Command Sgt. Maj.Anthony Stoneburg; RRS Commandant Col. Terrence Murrill; Maj. Gen. Allen Batschelet, U.S. Army Recruiting Command Commanding General; Command Sgt. Maj. Willie Clemmons, USAREC CMS; and Kim Phillips, Deputy Director G5 USAREC. Photo by Sally Harding, Fort Knox Visual Information. 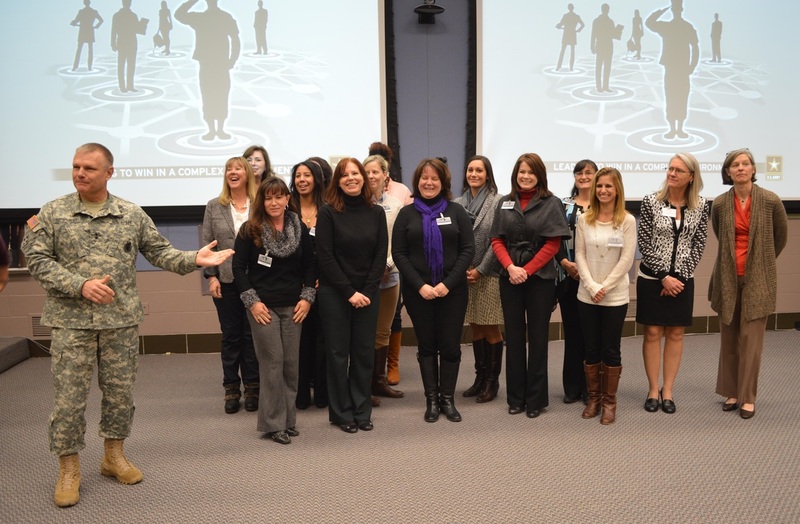 USAREC CG Maj. Gen. Allen Batschelet recognizes senior spouses Feb. 12 for their contributions in improving family support. Photo by Lynsie Dickerson, USAREC Public Affairs.